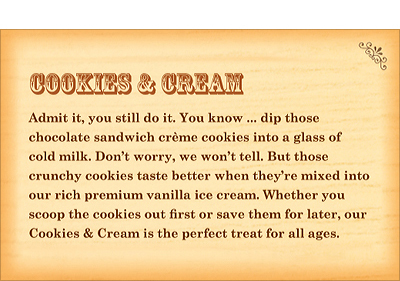 Humboldt Creamery needed to revise about 80 of its ice cream flavor descriptions to match new branding. 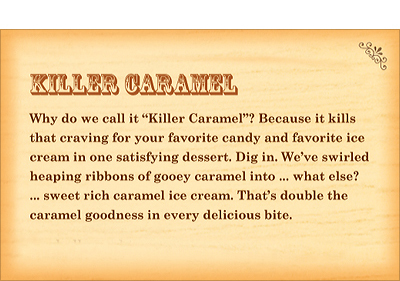 The ice creams include all the traditional varieties you’d expect (chocolate, vanilla, strawberry, etc. 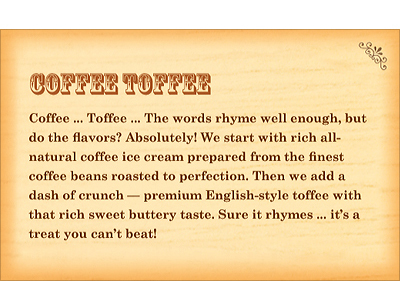 ), plus a range of specialty flavors such as Gooey Cluster, Green Tea, and Marionberry Cobbler, to name a few. The company wanted descriptions that were fun and engaging, but also reinforce the freshness and quality of the product. 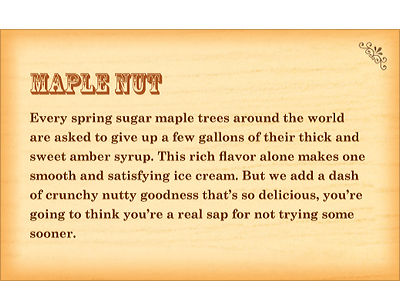 Plus, some of the more unfamiliar specialty flavors needed added details on ingredients. Images below show a few sample descriptions. Others are available here (PDF).